Spaces of recreation and functional outdoor living in this residential garden on Telegraph Hill are conceived through the continuation of materials through different orientations, and the framing of magnificent views. In the front of the house, lengthy ipe members span the deck and climb the walls to create benches and planters, juxtaposing the rich color of the wood against the stark white of the stone. Young redwoods shoot up, as if the wood deck had continued skywardly. An unappealing stairway becomes a striking lighting piece that grows out of the ground. 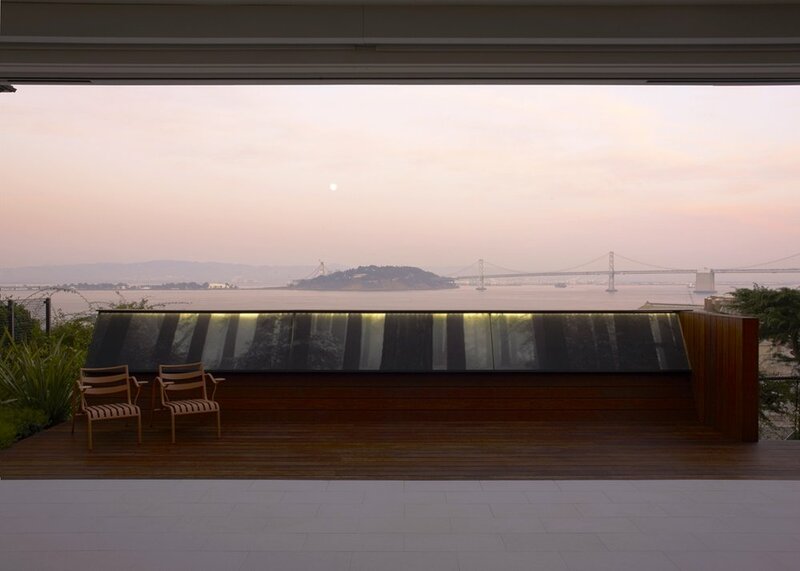 In the back yard, the wood deck tilts upward to frame the view of the Bay Bridge, and an art/light piece was installed to make reference to redwood landscape.